More ESL links than you can imagine. 1, 191 of them! Use the related tags (on the right of the page) to narrow your selection. For example, you can click listening, grammar, reading, writing, etc. You can also type in your own tag and search. Delicious - Discover ESL links! This is the home of the Council on Basic Writing Resource Share site that will someday, with your contributions and participation, be amazing. There are currently two options for browsing available files: one is the file cabinet to the left; the other is the pages above. Do you agree with these convention about right and left brain dominance? Do creative really use the right side of their brain more than the left. Do scientists and mathematicians use the left side more than the right? What does creative mean anyway? Being creative or artistic doesn’t mean you know how to draw or play an instrument. Being creative is a way of thinking, a way of viewing the world. Creative people use the RIGHT side of their brains more than the LEFT. Take the test and find out if your brain is RIGHT for a creative career. This web site is for non-native speakers of English who want to write in English for academic purposes. The material in this site is aimed toward high intermediate or advanced English learners who have never taken a formal English writing course and whose TOEFL score is about 500 or more. Type a word into search blank. When your entry appears in pink, mouse over to hear it pronounced. Create lists of up to 15 entries like this: cat; cart; cut; caught etc. There are currently 158,480 entries in the dictionary. Notes for using the dictionary, browser plug-ins. Available for iPhone and Android. "Has anyone in the study group checked out MOOCs or Massive Open Online Courses? A number of them would be good learning experiences for those at upper intermediate and advanced English levels. The Coursera course I recommended is one. As I come across them, I will post others that seem suitable...."
Here's a list 101 websites for English teachers and learners. 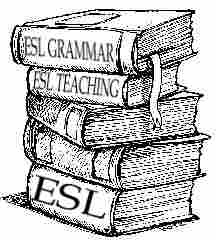 Links include writing prompts and essay starters, grammar, reading and writing, poetry, literature, Shakespeare, spelling, vocabulary, some just for ESL and more. Eric Schreefrei at GoEdOnline writes, "I did it by polling several of LinkedIn’s most prominent ELA groups over the course of a few months. As always, I hope you find something that’s new (and useful) to you!" Some of you might find these useful. They are free too, but you have to register with WizIQ. If you register and try any tutorials, let us know what you think. Would you recommend them? If so, for what level or skill area? Anonymous is OK.